WHEN GOTHAM IS ASHES YOU HAVE MY PERMISSION TO DIE!! 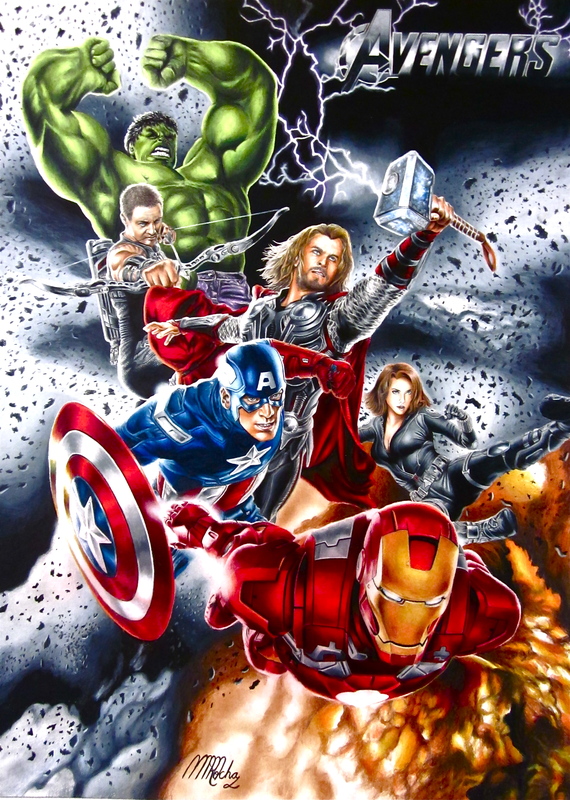 One of the biggest anticipated movies of the year!! THE DARK KNIGHT RISES!! Just by watching the 3rd trailer it pumps up your adrenaline!! 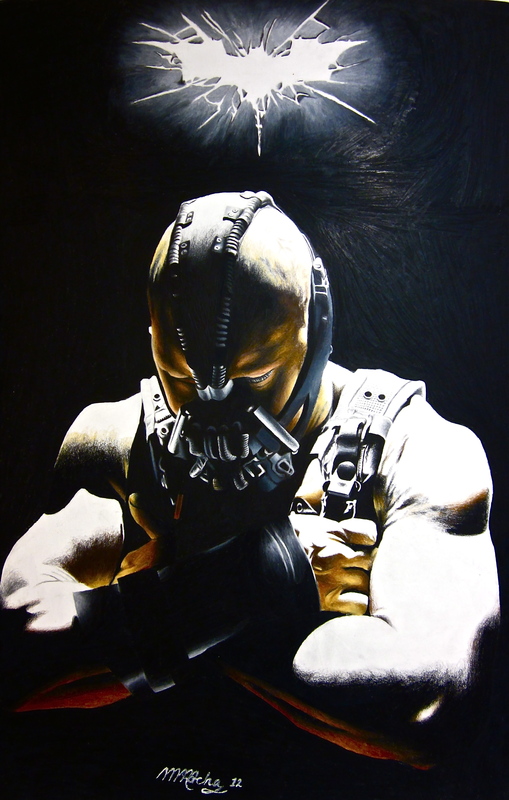 Inspirational and powerful as it is on film and in art; it caught my attention to draw Bane!! Yes!! He is the villain that catches your eye on this one. A STORM IS COMING!! Hungry for more? That’s exactly the feeling I’ve got when I read and saw this fascinating motion picture. It’s definitely going to be one of the movies of the year. The book was so addicting that I couldn’t put it down. Full of detail and fascinating suspense I could define it as a book that it really grabs you. The movie was every bit as good, however. It is very difficult to cover all the details that the book includes into a blockbuster film. As it defines a new meaning for an era where Harry Porter and Twilight left off, The Hunger Games picks up and takes it into a new genre. Kids and adults, males and females are fascinated by it. 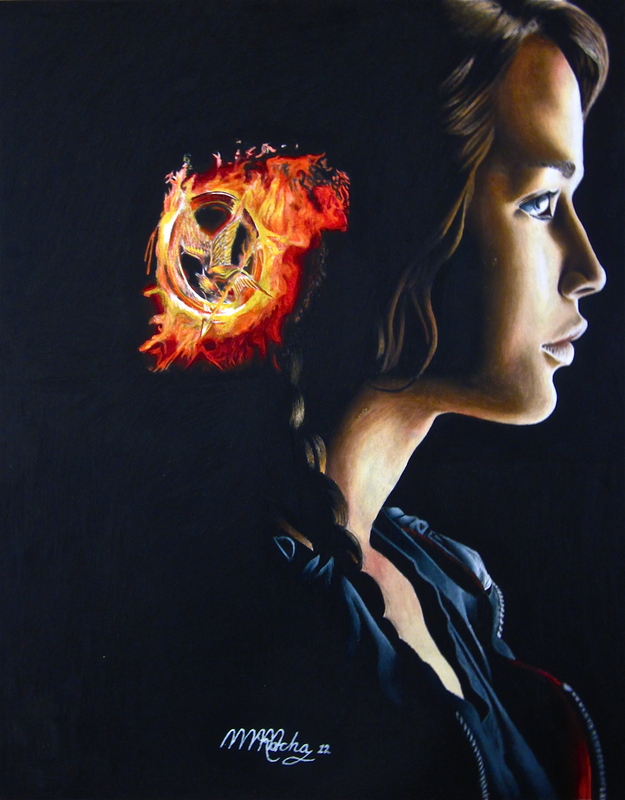 I was amazed by the book and film that it inspired me to transform Katniss into the world of art. With a pure tone of color pencil I am delivering one of my greatest achievements. 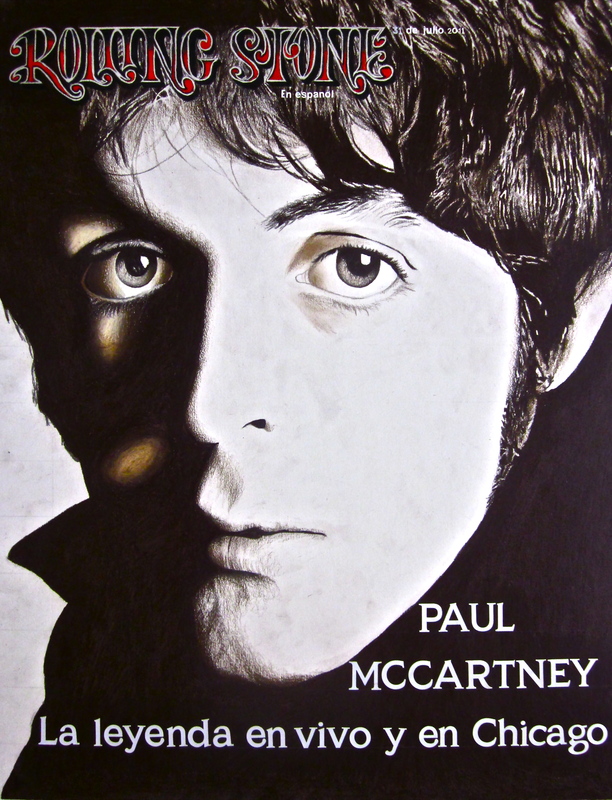 And in the end……he was knighted by the British Empire as he is Sir Paul. One of the greatest performers of all time delivers a grand finale to remember. During the last few minutes as we all waited after some great performers; the bass-man; instrumentalist and man of a thousand voices closes the show with the last three songs on the last Beatles album (Abbey Road) with that lasting and enduring lyric. 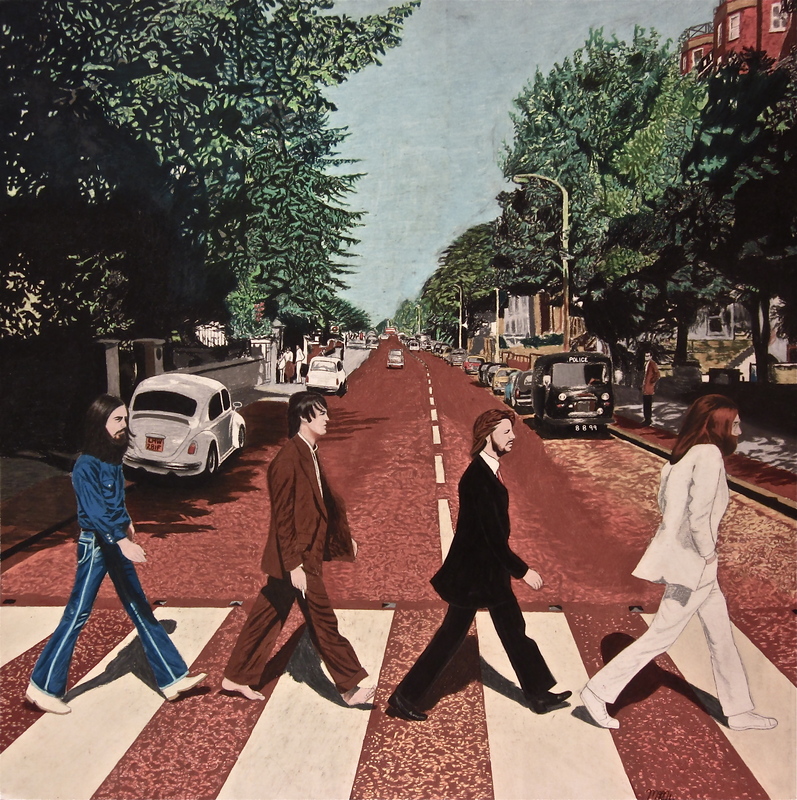 Golden Slumbers/Carry that Weight/The End; the second part medley of side two still sounds as good as ever. After so many years and tears of joy he took the stage and the night just ended in a high perfect note. A note that transmits, transforms and transcends from music to art and art to music. They still blend together as Paul shows he is still one of the most astonishing show man of all time. He is incredible and after all we could all say that Chris Farley did ask the right questions in that enjoyable humorous interview over fifteen years ago. “AND IN THE END….THE LOVE YOU TAKE …..IS EQUAL TO THE LOVE YOU MAKE”. Simple and beautiful and Mr. Farley questions “IS THAT TRUE?” Of course it is! The more you give the more you get! “THAT WAS AWESOME!” Awesome is what describes last night performance. Thumbs up! Making an incredible recovery and coming back with heart and soul, Adele performs like no other. Her performance at the Grammys was so emotional as she sang one of her most popular songs “Rolling in the Deep”. As she began singing you could feel the most incredible vibes going down your soul. You knew the performance was going to blow your mind; and it sure did. By the time she began her performance she had already won a few awards. What can you say about the most outstanding performer of the year? With passion and such a strong commotion she was so grateful of how far she has come along. Her album 21 goes back to old fashion delicacy and deliverance to the emotional beats of Blues, Rock and Jazz. Did I miss a Genre? I sure did!! Pure Art. If you have not seen the music video for “Rolling in the Deep” tune in. It is as impressive artistically as it is musically. The art form and music blend in beautifully. There was no surprise for her winning the awards. She deserves to be the most outstanding performer in every step of the way. If you have any inquiries about our art, or the artistic process used in the drawing “Behind Blue Eyes”, please feel to contact Martin M. Rocha at martinrochaart@gmail.com. Remember, with Martin M. Rocha Art, a passion for art is truly in the details. Martin M. Rocha of MartinMRocha.com. Voice, soul, emotion and heart are the four words that describe one of the greatest female performers of all time. English singer Adele sings like no other and her voice has such a powerful commotion and inspiration as it also drives towards despair and heartbreak. When I first heard that beautiful soulful voice I was astonished with her toning and volume. I was not only impressed with her singing; but listening to “Rolling in the deep” simultaneously with the video I observed how the refinement of art and music continue merging into one another. There was nothing that I could overlook upon all the aspects of the video as it does include elegance and force; both artistically and musically. She has the heart and the soul that separates her from other performers. As her inspiration to unleashed 21 displays all passion from the heart. 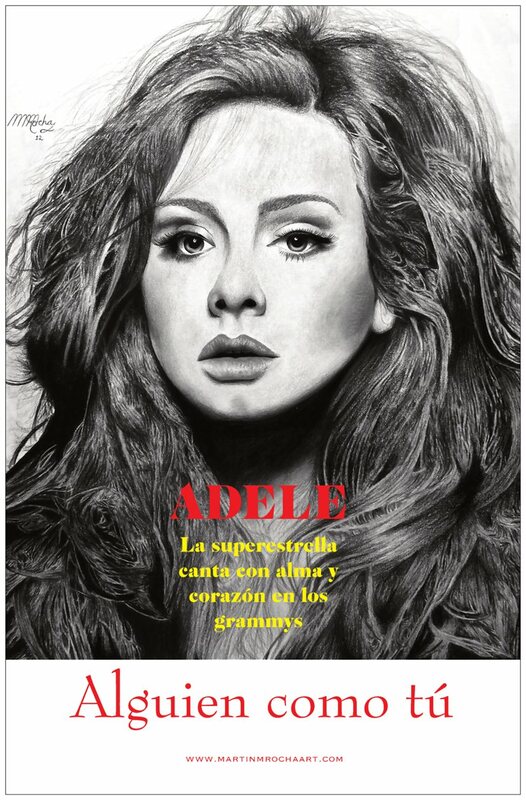 The heart that is; that I took to draw Adele freehand. I draw with my hands; but most of all from the heart with such an emotion that I can not described. Some of you art fans believe this is my best work; I feel it is. However, as any artist that seeks to grow and leaving hungry for more; I still don’t feel a 100% satisfied. A good friend told me that it’s the sign of a good artist. Always wanting to explore and find new territories; to me it is only the beginning. Are you hungry for more? 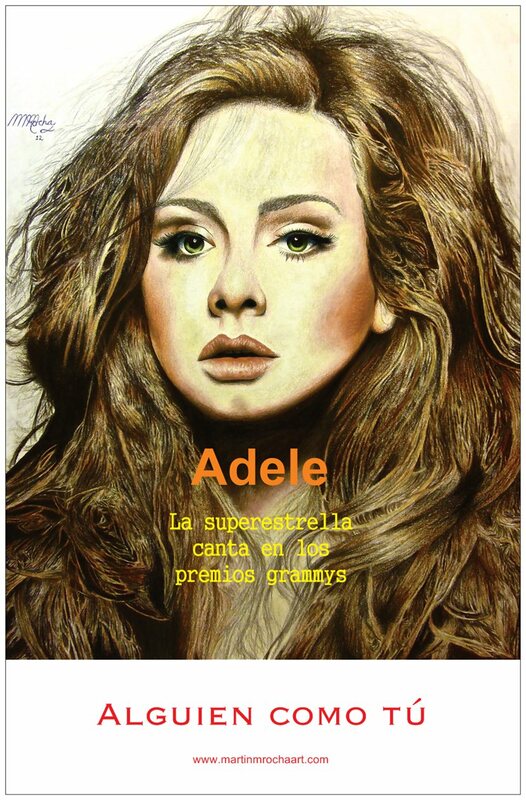 Just sit and enjoy the latest 21 steps of Adele with the music of “Rolling in the deep”. 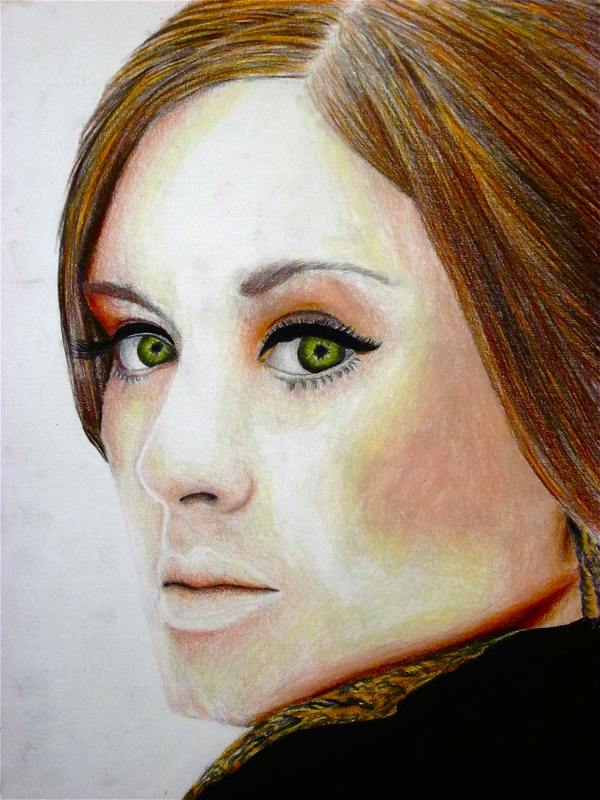 A phenomenal actress and a beautiful woman, I completed this colored pencil drawing two years ago, but decided to make her eyes blue to give it a nice shine and glare. Her latest movie “Horrible Bosses” is a must see. A great comedy full of laughs; a film many people can relate too. Jennifer Aniston’s role is fantastic, but her look as a brunette makes the beauty of her eyes stand out more. I think it is the her best look ever. Unfortunately I never took photographs of the process when working on the Jennifer Aniston drawing. 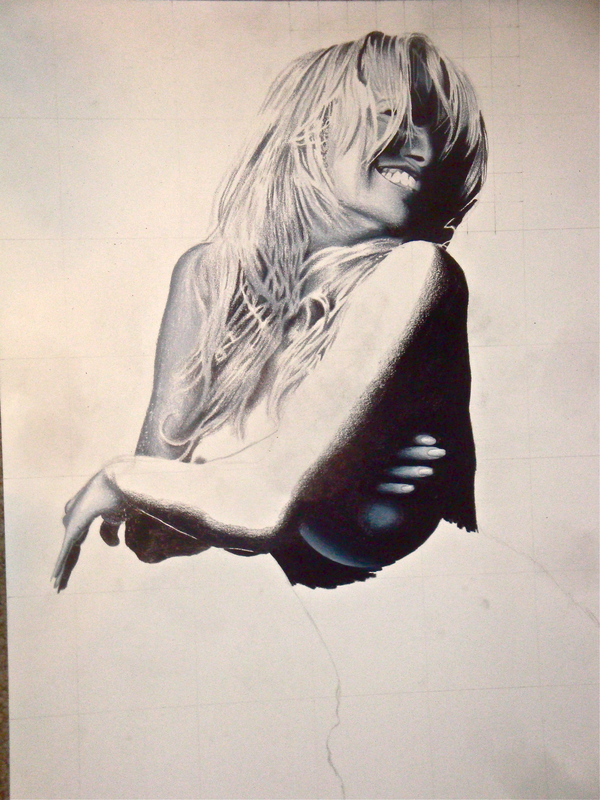 By the time I began the process on Pamela Anderson I enjoyed taking pics of how it was developing. An advocate of animal rights she is well respected and a beautiful woman, she truly speaks out in what she believes in and has a very humble personality as she has helped many people who are less fortunate. These two images measure 20 by 30. This is a 16 by 20 portrait by Jessica Alba; another beautiful and fantastic woman. After all she did play a great character in the Marvel movie “Fantastic 4” as the Invisible woman. 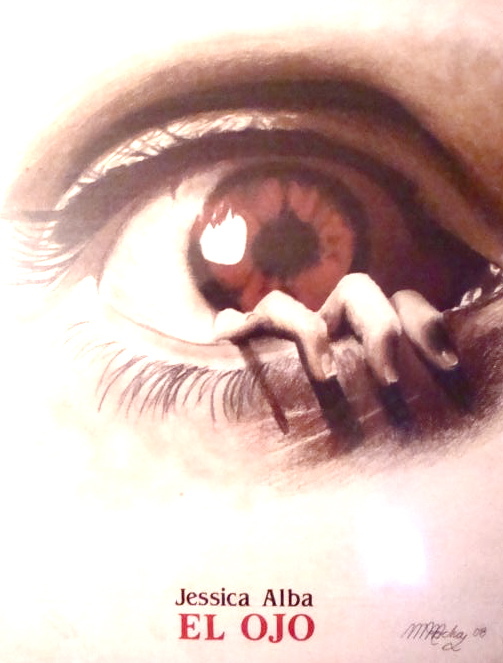 However, one of my favorite films by her is the Horror thriller “The Eye”. I strongly recommend it. KEEP AN “EYE” ON THOSE HORRIBLE BOSSES. If you have any inquiries about our art and texture, the artistic process, please feel to contact Martin M. Rocha at martinmrochaart@gmail.com. With Martin M. Rocha Art, a passion for art is truly in the details; Martin M. Rocha of MartinMRochaArt.com.